Have you ever wondered what shark cleaning stations surrounding Cocos Island look like? Have you ever wanted to submerse yourself in the World War II wreck history of Truk Lagoon? Now you have the opportunity to reach those dive locations! 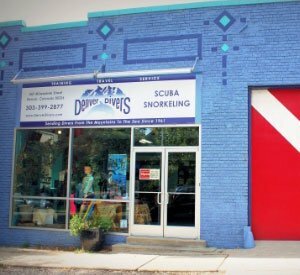 Denver Divers' Extended Range programs will show you the path to diving a little deeper for a little longer, and allow you to achieve your goals. 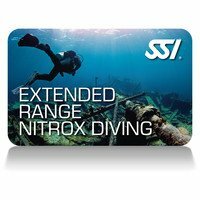 This program provides the knowledge and experience required to independently plan and conduct limited decompression dives to a maximum depth of 130 feet, and requiring staged decompression stops of no longer than 15 minutes based on a back gas proﬁle. Extended Range training techniques and skills, and can be completed wearing a standard single-cylinder equipment conﬁguration. Schedule: We schedule all Extended Range courses on a custom basis, between the student and the instructor. Hours for completion will be based on student academic performance and confined water skill performance. For more information or to sign up, please contact Wendel or Mariah at 303-399-2877 or email us at scuba@denverdivers.com. 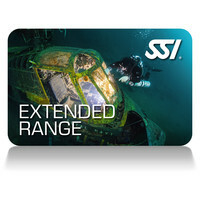 The SSI Extended Range program qualiﬁes you to dive to a depth of 149 feet and requiring staged decompression stops of no longer than 25 minutes using nitrox mixtures of up to 100%. The program can be completed wearing a complete Extended Range Total Diving System, appropriate for single gas switch, accelerated decompression diving.